Tomorrow is National Beer Day and we wanted to celebrate by sharing this simple “cocktail” with you. Sometimes, there’s such beauty in simplicity! Take the Boilermaker, for instance… it’s not sure when this popular concoction came into existence, but many believe that it was the drink of choice of the hard-working, blue-collar men that built this country. Today, it’s just as popular at trendy high-end cocktail bars as it is at your favorite local watering hole. This is also why it’s also a choice drink of bartenders – a simple ritual to look forward to at the end of a long day. 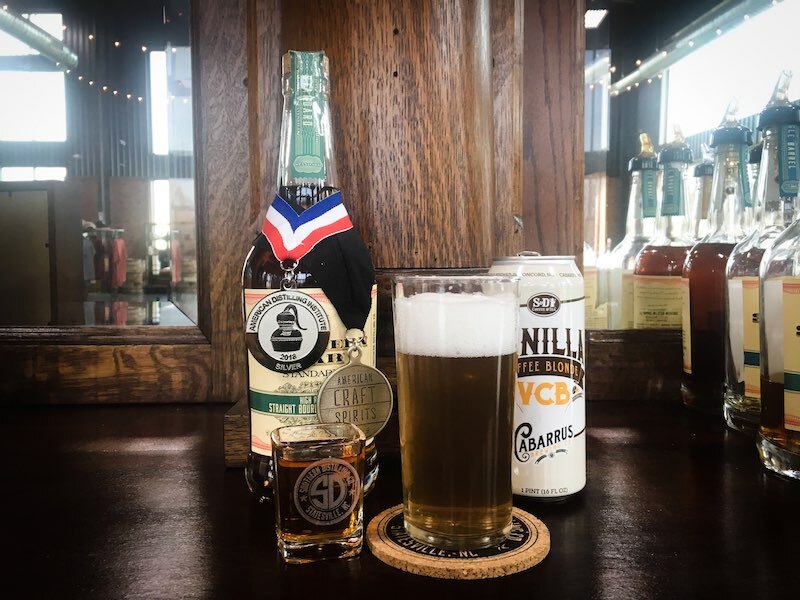 There are 2 ways to drink a Boilermaker: as a dropped shot or a slow sipper. Depending on your mood at the moment, you get to choose how you like it best. For those of us in the whiskey world, we prefer to savor our spirits and enjoy them at a slow pace! Our Southern spin on this perfect, simple drink is pairing the rich, oak and caramel notes from our Southern Star Standard Bourbon Whiskey with the light and refreshing flavors of the Vanilla Coffee Blonde (with hints of… you guessed it! Vanilla and coffee!) by Cabarrus Brewing Co. – one of North Carolina’s local craft breweries. Fill a pint glass with the beer and a shot glass with the whiskey. Either sip each slowly separately or drop the shot glass in the pint glass of beer. Enjoy!